This is one of the most common questions new photographers have: how to make it in the wedding photography industry? 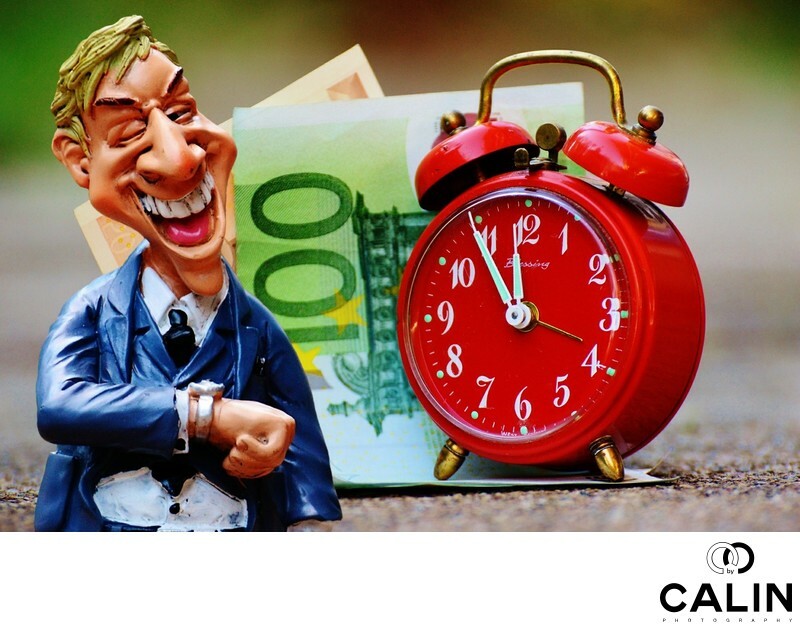 Here are my tips that will help you save time, money and effort! Before we start, I want to share a few of my credentials: I am a business school graduate, with an MBA from McGill University who spent over a decade in the corporate world in various managerial positions. At one time, I had 50 people reporting to me, in Canada and abroad. I have been running my wedding photography business since 2012 and in my travels I have won photography awards and was invited to be a judge in national photography competitions. Sorry about that...I did not intend to brag, but wanted to give you a feel that I know a thing or two about photography and business. 1) Successful from a financial standpoint. I am referring to a successful studio with 10-20 photographers who shoot over 300 weddings a year. 2) Successful from a photography standpoint. This is a wedding photographer that creates high quality imagery for the bride and groom on a consistent basis. This is an artist who wins tonnes of awards, is always mentioned at WPPI and has tens of thousands of followers on various social media...mostly photographers. Most such photographers are seen as "talented" and sometimes their business struggles because they are artists and don't run their studio like a real business. Let's look at both definitions! The sad truth about the wedding photography industry is that often the most successful (financially) studios deliver mediocre images while charging outrageously high prices. While I'm not pointing fingers at my esteemed colleagues, I judged national wedding photography competitions and let me tell you that often the most beautiful pictures came from starving artists. Here is an analysis I did and if you follow the links you can judge for yourself if there is any correlation between the price charged and the quality of the images. Pricing analysis of 50 wedding photography studios in Toronto. Strong marketing skills. In this competitive industry it is the best marketers who succeed, not the best photographers. During workshops with top 10 photographers in the world, they mentioned that success is 90% marketing ends 10% photography. If you are social media savvy, you have a huge advantage over your older colleagues who don't even have an instagram account. Strong technical skills. You need to build a website, optimize it and more important, rank high in relevant Google searches or you will not be found by potential clients. Deep pockets. A new wedding photographer will find it difficult to book weddings without a portfolio, and decent equipment (which costs a lot). It takes at least 3 to 4 years to build a solid wedding portfolio and prove your prospects that you are able to shoot in any location and any weather conditions. Strong network of photographers and industry professionals. It always helps when you start a new business to know few people who can refer potential clients. If you are in the 25-35 age group, good for you! You will need connections to get on the venues preferred vendors' lists. That is a wedding photographer's nirvana and if you manage to be on four or five of them, you are set! If you are booked, refer a colleague of yours because in this business you CAN NOT SUCCEED ALONE! You need a strong referral basis to be able to get hired every weekend. Help everybody by sharing photos because you never know who will end up helping you. Persistence. Nowadays there are so many wedding photographers that it becomes more difficult to differentiate from the crowd. It takes a lot of hard work and persistence to continue when you have no weddings booked for the next year. Good sales skills: it is difficult to differentiate between a $1000 photographer and a $3000 photographer because the images often look exactly the same. However, the photographer with able to sell better will always book a client. A mentor: experience is the most efficient and costly way of learning anything. Having a mentor that understands the industry and the business of wedding photography is invaluable. It will save you years and countless sleepless nights. Before I started my wedding photography business I earned an MBA degree from a prestigious Canadian university and worked for over a decade in the corporate world. However, my lack of understanding of the wedding business was apparent in the first years. Find a mentor! Today the most successful photographers are not necessarily the best ones, but the best marketers. I know people who shoot in automatic mode and their images are “meh” but run very successful businesses. In fact, if you neglect the marketing aspect of the business, you almost sure will fail, unless you are an amazing photographer. Master post production. In today’s competitive market, you need all the competitive advantages to differentiate yourself. Strong technical skills: in this digital age often people allow the cameras (that are becoming smarter and smarter) to do the heavy lifting for them. However, during the wedding day one encounters extreme situations when strong technical skills are imperative. How do you shoot in the church that doesn't allow flash photography and the exposure is ISO 6400, 1/30s at F1.2? If you simply put the camera in auto mode, you will end up with noisy or even worse, with blurred pictures. Trust me, during the first year I had quite a few of those horror moments. An excellent knowledge of photography equipment: no matter how talented you are, if you don't know how many flashes your speed lights can generate at full power, you will end up, like me having to change the batteries during the first dance in a pitch black venue. Fortunately despite my lack of experience, I was fortunate enough to be able to change batteries in say 10 seconds. It was pure luck or a decent knowledge my equipment. Or both! Experience: it takes about 50 weddings for want to encounter all the lighting situations possible at a wedding. What do you do when the venue’s walls are black and you cannot bounce the flash. What do you do when after the winter outdoor photo shoot the bride and groom have their grand entrance and your lens is foggy? What do you do when it starts raining and the couple is looking at you as if you could somehow make the pictures look like they were taken on a sunny day? Finally, what do you do when the couple has an indoor ceremony next to a window on a sunny day? The camera will be confused by this huge amount of light in your images will be underexposed by three stops? Luck and hard work: often, brides say I'm very talented. Honestly, if you visit my website you will see my portfolio several pictures where I got really lucky. The one with Spiderman who came out of nowhere on a skateboard, gave us the most beautiful Spiderman pose. Or the one where the flower girl started dancing during the father daughter dance. 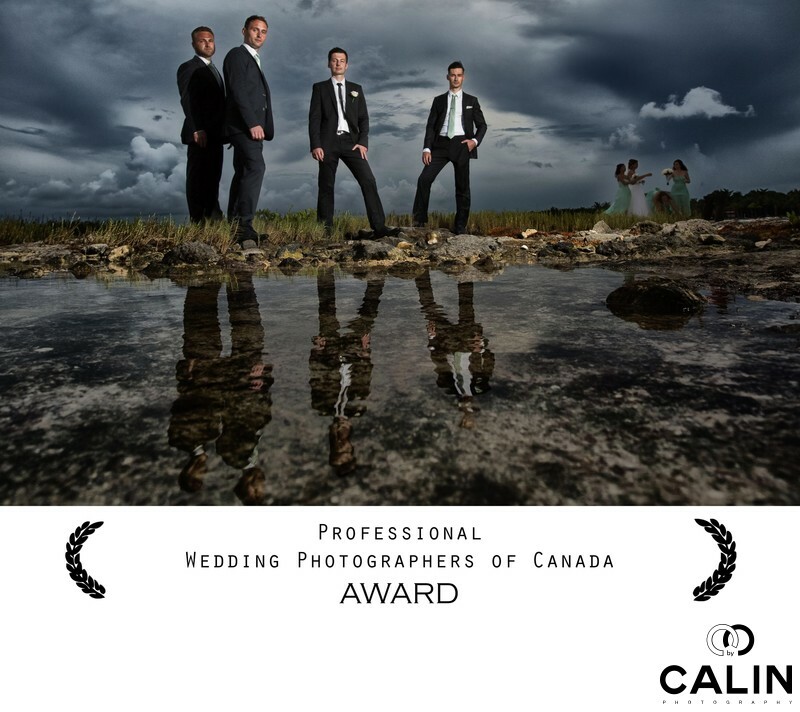 The latter picture got a prestigious Professional Wedding Photographers of Canada award. However, the harder I work, the luckier I get or if you want, luck is when opportunity meets preparedness. A mentor: fortunately, photographers are good people and you might find one who will help you. If you can second shoot, you will learn more in a year than in five years of studying photography. ALL top photographers had a master whom they followed and emulated. Jerry Ghionis followed Yervant, many followed the great Monte Zucker and so on. Find a mentor! A strong network of photographers: you need colleagues with whom you can share new techniques and tips that will allow you to create beautiful imagery. Nowadays there are plenty of wedding photographers and there is a new one born every second. I wish you best of luck in this crazy but beautiful industry!!! !